Always wanted to learn music with world-class musicians without going to university? Open Conservatorium is the convenient alternative where you can learn from seasoned professionals and play music with those who love it as much as you do! From toddlers to preteens, young adults to mature age, our breadth of innovative programs allow you to tailor your studies to suit your interests and aspirations. Housed within Queensland Conservatorium, which is conveniently situated in the heart of Brisbane's premier arts precinct, our facilities are among the music industry's finest – acoustically, architecturally and technologically. 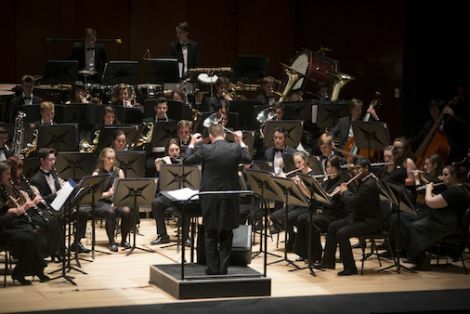 With refurbished buildings and facilities worth over $80m, collaborations with celebrated performing arts organisations, Education Queensland and access to leading music educators, musicians and composers with international experience and outlook; you will learn music in an environment that enables you to flourish. The Early Childhood Music programs create a musical learning environment for infants to children around six years of age, in partnership with their parents or caregivers. The aim of the program is to encourage the musical growth of each child in an enjoyable and enriching environment, promoting a lifelong love of music. 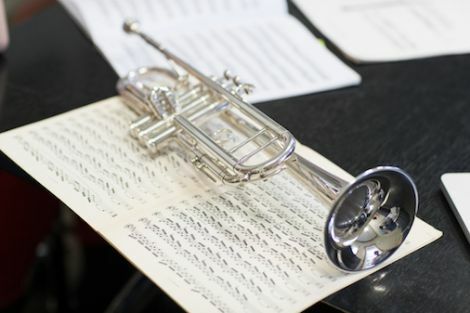 Young Conservatorium offers pre-school, primary and secondary students a pathway of musical training drawing on the skills, expertise and excellence of the Queensland Conservatorium Griffith University. 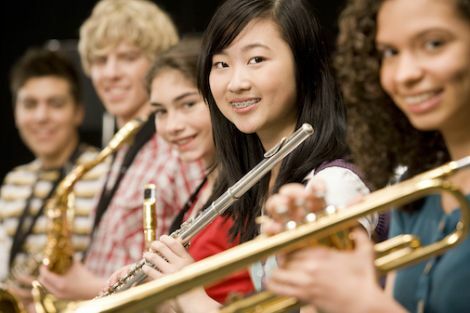 Offering a variety of programs, from the developing stages in childhood through to the senior years of schooling, Young Conservatorium should be your first choice when considering music education for your child. Partnerships can happen across the desk, across the road or across the state. Some can even happen across the world! The State Honours Ensemble Program is a product of the partnership between schools, teachers and the Open Conservatorium. Each year classroom and instrumental teachers are invited to nominate their most outstanding secondary school musicians to participate in these programs. Placements are available for students studying Voice, Violin, Viola, Cello, Double Bass, Piccolo, Flute, Clarinet, Bass Clarinet, Oboe, Bassoon, Saxophone, French Horn, Trumpet, Trombone, Euphonium, Tuba, and Orchestral Percussion (not Drum Kit). Open Conservatorium Griffith University offers Tertiary Preparation Workshops to help you stand out from the pack at your audition for the Bachelor of Music at the Queensland Conservatorium. Whether you're in your final years of high school or a mature-age student applying for entry to a university music degree, this program can help you better prepare for the theoretical and practical requirements of the audition process. We offer adult education and professional development courses for music professionals, hobbyists and educators who need to update their skills in modern music technologies. Enjoy the benefits of studying at one of the world's finest conservatoires, where you will have our experienced teaching staff and world-class music facilities at your fingertips. Courses cover topics such as live sound technologies, creative music technologies, ProTools for musicians, keyboard lessons for adults and more. Whatever the style of your event — from an intimate gathering to a lavish affair, the ballroom to the bowls club — our versatile, Queensland Conservatorium trained musicians provide a memorable soundtrack to every occasion. Our soloists and ensembles have performed to widespread acclaim across a range of musical genres from Classical and Vocal to Latin and Jazz. With first-class training from Queensland Conservatorium, our musicians deliver the highest quality performance in every setting. Unfortunately there is no program that supports your criteria. 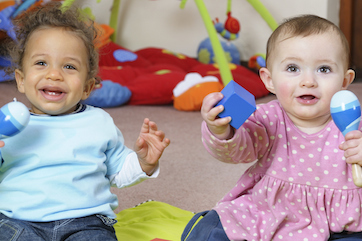 The Early Childhood Music programs create a musical learning environment for infants to children around five years of age, in partnership with their parents or caregivers. A sibling discount of $50 per annum is awarded for each child enrolled after the first sibling enrolment in the same year for Early Childhood Music enrolment. A trial class will be held for applicants prior to the commencement of the program. The Young Beginner program is the natural offshoot of the Young Conservatorium’s Early Childhood Music activities, with programs designed to be an introduction to practical instrumental music. Strings include Violin and Violoncello. The Young Conservatorium provides Individual Tuition for those musicians in the early stages of their development. Students receive expert guidance from Queensland Conservatorium Griffith University’s experienced teaching faculty. The Developing Musicians program is available for Piano, Violin and Violoncello. Ensembles are not just about performance but also about learning. Young Conservatorium prides itself on the pedagogy that underpins the performance program, especially in the ensemble environment. Only players of the highest calibre will be considered (AMEB 5 & above). Ensembles are not just about performance but also about learning. Young Conservatorium prides itself on the pedagogy that underpins the performance program, especially in the ensemble environment. Students of approximately Grade 1 AMEB to Grade 3 AMEB. Suitable for young musicians to develop ensemble skills - Audition not required. 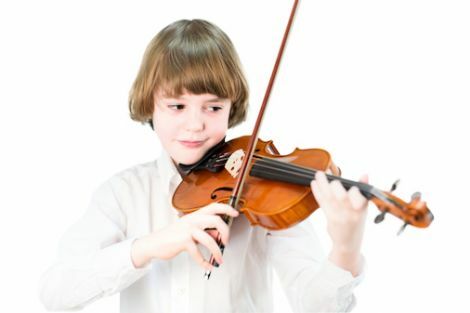 Ensembles are not just about performance but also about learning. Young Conservatorium prides itself on the pedagogy that underpins the performance program, especially in the ensemble environment. Ensembles are not just about performance but also about learning. Young Conservatorium prides itself on the pedagogy that underpins the performance program, especially in the ensemble environment. Students of approximately Grade 1 AMEB to Grade 3 AMEB. Only players of the highest calibre will be considered. Grade 3 AMEB to Grade 5 AMEB. These ensembles are formed at the start of each year and rehearse weekly according to the Young Conservatorium term dates. Pathways within our ensembles enable the young musician to progress through various levels as their musicianship develops. Only singers of the highest calibre will be considered. Students enrolled in tuition and ensembles are eligible to apply. Musical Awareness is offered to students who wish to develop and acquire theoretical and practical skills through the study of music elements. Middle and secondary school students. Musical Awareness is offered to students who wish to develop and acquire theoretical and practical skills through the study of music elements. Classical and Contemporary Vocal students. Musical Awareness is offered to students who wish to develop and acquire theoretical and practical skills through the study of music elements. Stand out from the pack at your audition with our Tertiary Preparation Workshop (TPW) program. Whether you're in your final years of high school or a mature-age student applying for entry to a university music degree, this program can help you better prepare for the theoretical and practical requirements of the audition process. Music teachers, musicians and music lovers are invited to join us for Professional Development courses presented through summer, winter and weekend schools at Queensland Conservatorium’s South Bank campus. Whether you want to complement or upgrade your existing music skills, to take your music career in a new direction, our range of professional development courses can help you realise your goals. Designed to work either in conjunction with "Creative Music Technologies" or as a standalone course. Students will acquire practical experience in the basic operation of live recording/mixing consoles, microphones, signal paths, gain structures, connectivity, recording and sound reinforcement. This course includes strategies on making the most out of minimal equipment through to working with more extended concepts with mixing desks as typically found in school, hobby, and small venue contexts. Assistance can be provided in setting curriculum and assessment for school contexts if required. Participants will acquire practical experience in the basic operation of generic digital audio recording and sequencing software from MIDI sequencing, basic score creation, audio recording and production, to pre/post production concepts and approaches for a wide array of projects. This includes techniques tricks and tips on a wide range of contexts ranging from the solo operator through to large group settings such as a classroom environment. Assistance can be provided in setting curriculum and assessment for school contexts if required. Using the industry standard Pro Tools software, this course will teach participants to work with non-linear, hard-disk sound recording systems. Participating in practical, computer-lab based tutorials delivers detailed insight into digital audio recording, working with MIDI, editing and mixing, pre- and postproduction concepts, project ideas and how to communicate these ideas techniques and their application. The Open Conservatorium offers keyboard lessons where the adult beginner can learn to play at their own pace in a group lesson environment under the direction of our talented staff. There are beginner and advancing strands to this program.